When it comes to discussing nuclear energy facts, it will surprise many to see that there’s also a lot of good in the mix of bad and ugly. The media usually talks about the dangers of harnessing this enormous power, leaving out all the good that it can do for the future of our Earth. Nuclear energy is a non-renewable resource – right next to fuel fossils – but it’s one of the lesser explored technologies. 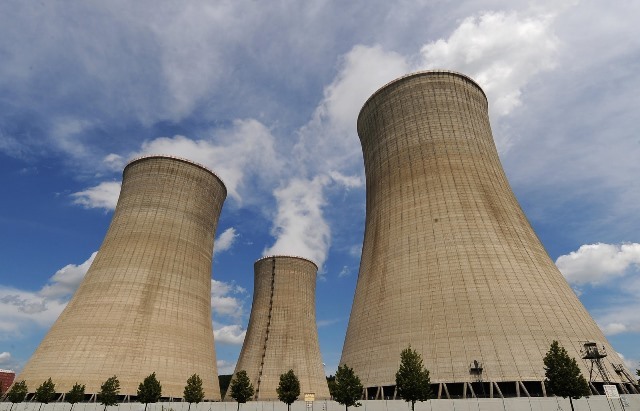 Let’s see what are some of the benefits of using nuclear energy, as well as some of the cons as we go through 30 facts that will boost your knowledge. Nuclear fission, the process of splitting the nucleus of an atom in two, is at the foundation of all nuclear power plants. While nuclear fusion – combining atoms into one – would be a lot safer, but the technology of operating it within a large power plant is still nonexistent. A nuclear power reactor uses uranium rods as the powerful fuel that generates the necessary heat. Heat is then turned into electricity. Uranium is nonrenewable mined resource, which means we will eventually run out of it. Steam production and cooling inside the nuclear reactors require large quantities of water. Therefore, several nuclear power plants drain lakes or rivers for their needs, which negatively impacts fish and aquatic ecosystems. However, in spite of the fact that they could be contributing even more, the government has ceased the building of new plants since 1979, after the Three Mile Island incident (read more about the incident below). Every year to year and a half, power plants need to shut down for “general cleaning.” It means that the spent uranium fuel (radioactive waste) needs to be removed from the plant. Usually, nuclear power plants generate around 20 metric tons of used nuclear fuel annually. Overall, the entire nuclear waste in the industry rises to about 2,000 – 2,300 metric tons. Seeing that all nuclear power plants must be cleaned regularly, disposal facilities must be developed nearby. That’s not to say that other countries don’t produce nuclear energy. However, when it comes to who has the most nuclear power plants, U.S. ranks first place with 99, seconded by France with 58. Japan comes in third with 43, but most of them are offline. This figure includes all the nations that have operational nuclear reactors on their soil. More than 436 commercial nuclear reactors are currently operating, with 67 more under construction. Nuclear energy is also used to power Mars rovers. If an operating nuclear power plant wants to expand, more than 6 billion dollars would be required in funding. For comparison, know that today, we produce as much electricity from nuclear energy as we did from all sources combined back in 1960. In the entire history of nuclear energy production, there were only three: The Mile Island (1979), Chernobyl (1986), and most recently, Fukushima, in 2011. All of them were tragic and involved loss of human life. 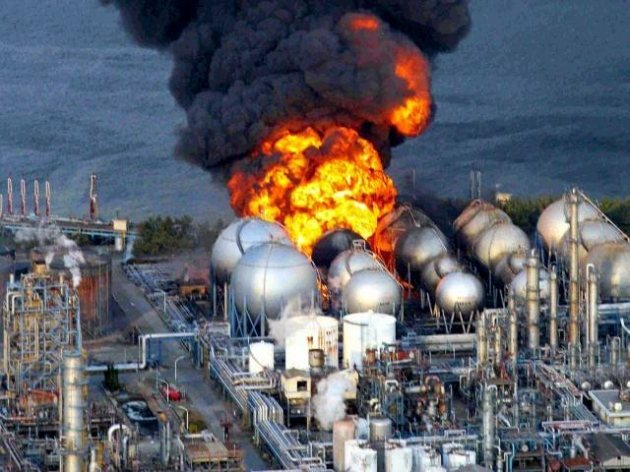 However, in the past 25 years alone, there have been more than 10 catastrophic disasters involving fossil fuel energy; the BP oil spill was the largest of them. Nukes have forever been a controversial topic. According to the Stockholm International Peace Research Institute, nine nations hold the power of approximately 16,300 nuclear weapons, in total. They are the U.S., Russia, UK, China, France, India, Israel, Pakistan, and North Korea. According to the latest reports, the U.S.’ forage into making nuclear energy more popular is succeeding. At the moment, one in 5 households and businesses in the nation use nuclear energy for electric power. It means we can turn to nuclear energy for help in our battle against climate change. The main cause of climate change is CO₂. Nuclear power production, on the other hand, generates extremely low levels of carbon. For each kilowatt hour of nuclear electricity, only five grams of carbon dioxide is produced. By comparison, gas fired power stations produce 365 g on average, and coal fired power stations – 900 g.
While there are many more interesting nuclear energy facts, we’ll stop at these fifteen. Instead, let’s see what the public opinion is on the use of nuclear energy for electricity. According to two polls conducted in the U.S. the spring of 2016, the global reactions are mixed. However, two conclusions can be naturally drawn: (1) People who are well-informed are strongly in favor of using nuclear energy as an alternative way to provide electricity, and (2) Those who are less informed tend to strongly oppose the matter. One of the other conclusions of the two polls what that a great majority of people (almost two-thirds of the public) neither support nor oppose the use nuclear energy. Given the context of disinformation that exists, we hope that we succeeded in drawing your interest on the matter. More often than not, getting to know more about an issue we fear is enough to erase our concerns. What other interesting nuclear energy facts do you know? Talk to us in the comment section below. What Is Hydroelectric Energy and Why Do We Care About It?